Richard took off Friday from work and we went and visited Capitol Reef National Park. We took the younger two kids.The older two had work. Here are some of the petroglyphs or rock art. It was beautiful to visit, but would be better in cooler weather. One of several deer we say. We saw a deer standing on hind legs and eating some apricots. We missed getting picture though. It was close to 100 degrees, so we did a very short (under 1/4 mile walk). Although too hot for Tanya, she still ended up with mild heat exhaustion, even with a cooling vest and plenty of water. Julia walking next to "tall mountains" her words. Some pretty yellow wild flowers. We drove over Boulder Mountain on way to family reunion. It was at least 20 degrees cooler, but it didn't last very long. This rag quilt is made of two fabrics on front Angry Birds and a black and silver dot. The back of this quilt is a gray tie dye. 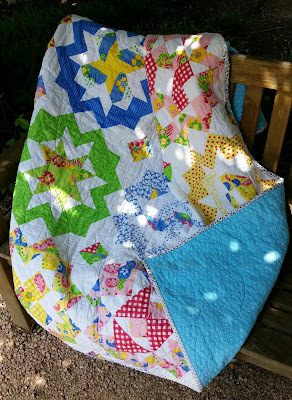 This quilt is available on our Etsy Store. Now it is your turn to link up what you have been working on this last wee. 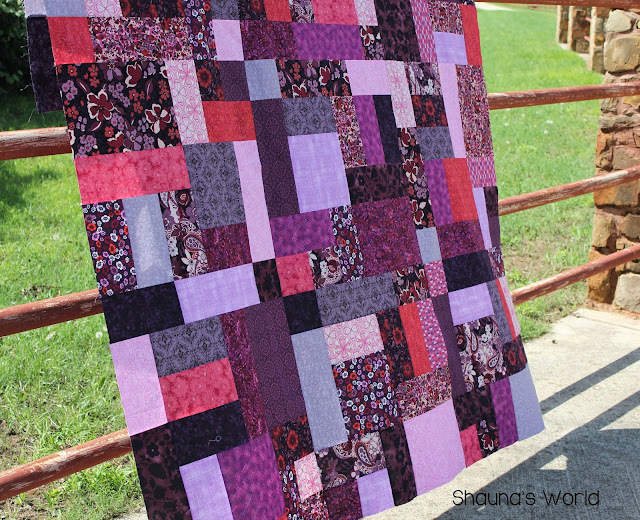 This quilt uses our windows pattern. It is done in oranges, blacks and grays. I think this is my favorite color combination so far. 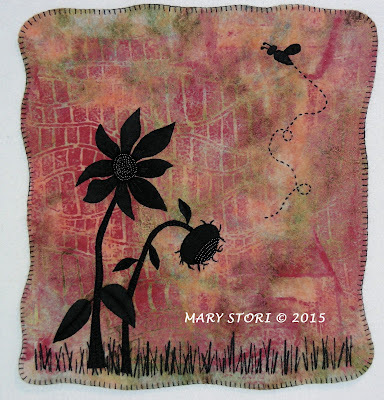 The back of the quilt is a peach floral print. It is bound with a black and orange floral print. It is listed on Etsy. Tanya quit her job about 3 weeks ago to be a stay at home mom. She has been sick almost every days since. She gave up the other day on taking pictures for her self of the stack of rag quilts that we have finished over the last month so she sent Rebecca our 17 year old daughter out to take them. She did not take the time to make picture as nice as Tanya would have but it is a start. This rag quilt has two heart prints and pale pink fabric. The back is a gray tie dye. Thank you for visiting Link A Finish Friday. Below you will find some of the fantastic items linked up last week. For any one that is new please visit some or all of the sites linked up new this week or featured from last week. Then of course please link a a recent finish of your own. No finish is too small for us all to give you a cheer! One last note. 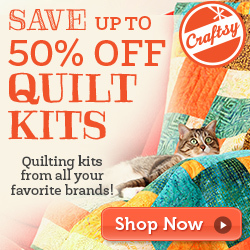 I am a Craftsy pattern seller and they are having a sale on physical goods this weekend feel free to check it out and make a quilt for next week if you don't have one ready for this week. Get on with it and link up! We finally got around to getting pictures of rag quilts. Plan on a lot of posts about them in the next few weeks. This rag quilt has pink chevron and elephant print. The back is gray minky. Thanks for visiting Link A Finish Friday. I will first show off some of the great linkup's from last week and then you can link up with your own finishes this week. It is now time to link up your finish. Well to start off today I have to apologize for the late Link A Finish Friday. Yesterday afternoon a car hit a power pole near out house knocking out the power. This was 1 pm I was happy at work and thought nothing of it (after my wife called and told me). At 6 pm when I got home the power was still off and the kids by this time were not so happy on the new lights out adventure. Any way I am at work and just got reminded that LAFF did not get set up. 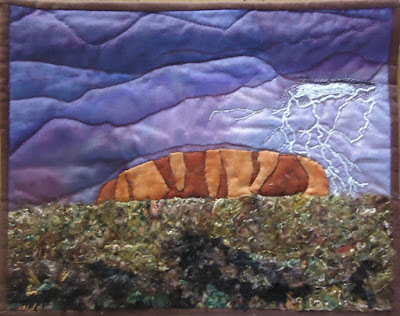 The power by way did turn on at 10:10 pm and by that time the kids were going crazy and I was tired and forgot, any way here is a quick link up the picture below is a quilt that I made a couple years back.